This book presents Ralph Miliband's reflections on the world socialists face after the fall of communism and the fundamental changes in social structure which Western societies have undergone in recent times. Miliband argues thta socialism has to be understood as part of an age-old struggle for a more just society and, seen in this light, socialism remains not only desirable but perfectly possible. Before his recent death, Ralph Miliband was one of the most eminent political thinkers on the Left not only in Britain but across the world. He is well known for his previous books, including The State in a Capitalist Society, which have all sold hundreds of thousands of copies. 1. The Case Against Capitalism. 4. The Mixed Economy, Socialist Style. 6. The Politics of Survival. * This volume presents Miliband's reflections on the world socialists face after the fall of communism and the fundamental changes in social structure which Western societies have undergone in recent times. Miliband's thought is consistently innovative and insightful. * The volume presents a thorough defence of the socialist project in an age sceptical about socialism. 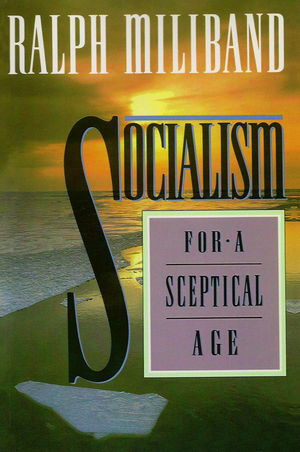 This is a thoroughly original re-examination of the socialist project by a committed believer. * This book will be widely reviewed.